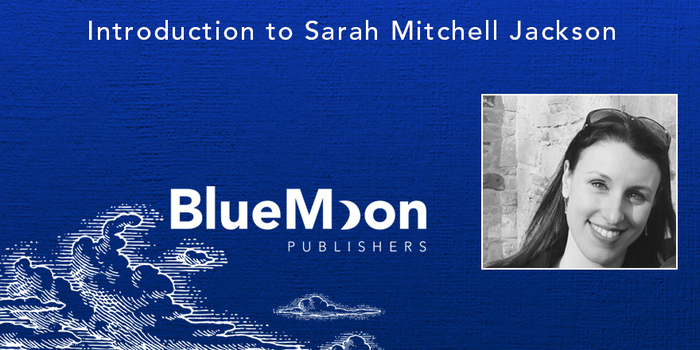 Join us as we chat with Sarah Mitchell-Jackson, the newest member of the Blue Moon Publishers family! Yes! Before I could write, I was a storyteller. I love what can be done with words – the visual experience conjured from sounds. I’ve been writing forever so, in a way, I’ve always been a writer. Words come easily – their flow, rhythm, nuance. It might come from having spent so much time reading and writing poetry. When I write, I have vivid mental images of the scenes I create. I can usually hear the characters, too. I find plot and story-shape hard. I like to plan before I write. However, characters don’t like to stick to the plans I make for them. Once they’re rounded enough, they take on a life of their own, true to themselves, and then I have to re-plan as I go. There used to be a routine. I would get up early and write on the weekends. Now I write whenever my son sleeps. I have a rule: as soon as I put him into his cot, I walk straight to the laptop and turn it on. I may not do anything else – no laundry, no cleaning, no running downstairs for a glass of water, no Twitter. Nothing but writing. Silence is important. I’m very neat so I prefer to write in a room free of clutter or mess. I like my desk to be clear. It helps me focus. What part of the writing process comes most naturally to you?